A few months back we had a great trip through Dry Creek Valley and stopped at some great wineries and tasting rooms. I had never been to the “Family Vineyards” tasting rooms just off of Dry Creek Road near Lambert Bridge. There are three or four winery tasting rooms and an olive oil company tasting room. Our group all split up and we headed out to opposite corners, we decided to visit Peterson Winery’s room. I must say, I am so happy that we did. We left there with a six pack of wines, three of which were this Sangiovese. 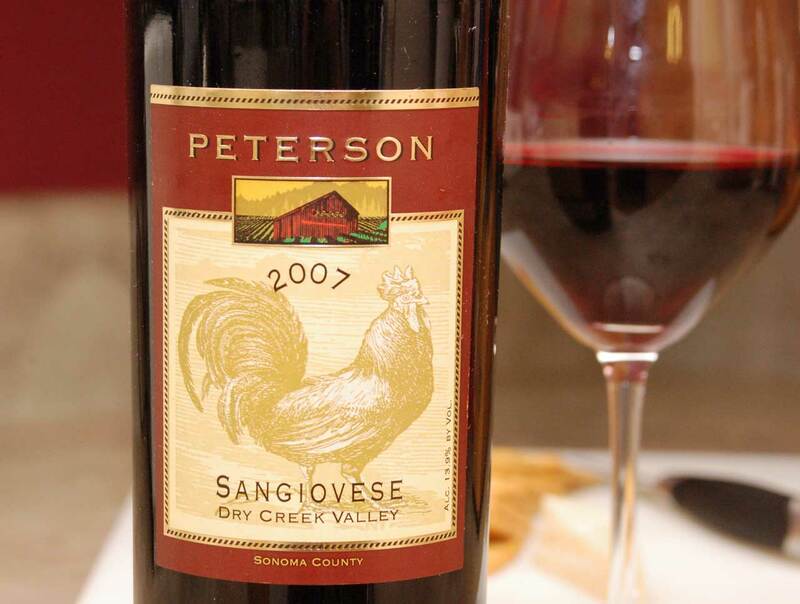 Here it is, 2007 Peterson Winery, Sangiovese, Dry Creek Valley. The Nose: Herbaceous and spicy, smoky meat like game, perhaps wild boar, dark plums and date, musk and sage. The Color: Deep and dark, this is no Chianti, this is Barolo or Montepulciano, heavy blood red, thick and massive. 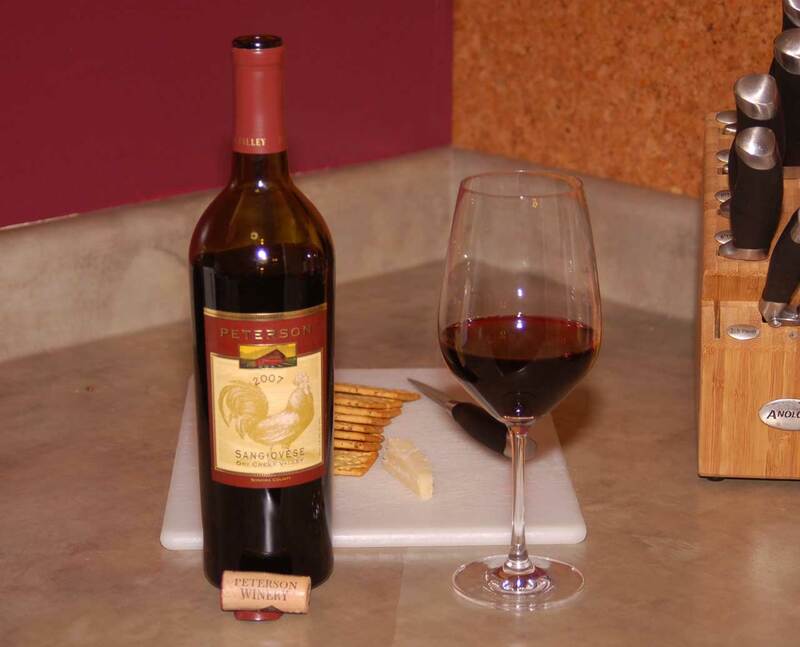 I paired up this wonderful wine with some 5 year aged parmesan a wonderful salty match for this big complex wine, enjoy!